If you’re expecting to take it easy and have a quiet retirement, you may want to think again. Bluntly speaking, it’s nearly impossible to be bored or even inactive here. Near-constant sunshine and the world’s most modern conveniences make Panama a social and happening kind of place. Retiree expats tend to be busier here than they were back home. There’s something about Panama that makes residents—retired or otherwise—want to get out there. The difference is, we’re all busy doing things we want to do—not competing in the proverbial rat race. When the roads are excellent and distances small, it’s hard to turn down fun invitations. And in parts of Panama City, the sleek metro line can have you there in minutes. Even if you’re new, it’s easy to sign up for events and make friends. Getting on mailing lists online or at museums and the like is easy. Now I get up to a dozen notifications a week. They arrive to my email inbox courtesy of Panama’s excellent telecommunications coverage (and that includes cell phone signals). Free gallery openings, restaurant inaugurations, irreverent plays, beach parties, sporting events… There’s so much going on, I’m hard-pressed to choose. I’ve been to see everything from Mixed Martial Arts (MMA) to Madame Butterfly. Outside of the city the options are no less varied, though more centered on the great outdoors. Take your pick: there’s rock climbing in Boquete, hiking in El Valle, white-water rafting, surfing, birding, tennis, biking, golf…everything imaginable. Oh, and over 700 fairs and festivals a year. If you’re interested in folklore, local art, traditional music and dance, or even eating your way through Panama (my personal favorite), the fiestas and carnivals are the places to do it! To me, it’s no wonder Panama currently ranks number one on International Living’s annual Global Retirement Index. Sure, it comes as a surprise to many to learn that a place this safe, modern, and inexpensive exists…just a three-hour flight from Miami. But I’ve been living in and writing about Panama for over eight years now and I’ve seen the truth first-hand. 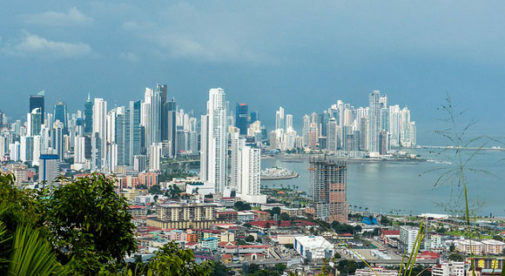 Not only is Panama close to home for many potential expats, but it’s also a major flight hub. If you have a hankering to see the world—or need to travel for business—there’s no better base. I’ve flown direct to Chicago, Las Vegas, Los Angeles, New York, and Quito. What I’m really itching to do is try direct flights to Boston, Paris, Amsterdam, Madrid, Toronto, Montreal, Buenos Aires, and more. I’ll get around to them all…eventually. For every trip I buy excellent travel insurance from a local provider. Insurance plans here—for travel, health, home, auto, and more—are high quality, and can cost 50% less than what you’d pay in the U.S. If you’re a resident under the age of 65, health insurance can cost you as little as $80 a month. And I’m talking a good plan, with immediate discounts on already inexpensive consults, procedures, medication, lab work, and more. I use my plan to get 20% off every time I buy medication. I simply make sure to go to a participating pharmacy (they’re quite conveniently located). As for doctors, I’ve been able to find general practitioners and specialists I really like—for myself and for family members, too. We’ve seen allergy specialists, dermatologists, ear-nose-and-throat doctors, even neurosurgeons at Panama’s top hospitals. With an insurance co-pay, I’ve shelled out just $10 to $17 for these visits. I’m fluent in Spanish by now, but many of the doctors I’ve met speak English. That means I’ve been able to recommend them to not-so-fluent friends. 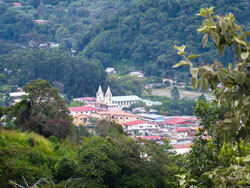 From the cosmopolitan Panama City to the lush valleys of Boquete…there is always something to see in Panama. If you have a pension, you can save even more than I do in Panama. Simply apply for your Panama residence via the famed Pensionado Program. It’s easy to qualify if you receive a pension of at least $1,000 a month. Once you’re a resident member, you will have instant access to the same discounts Panamanian pensioners enjoy. Transportation, dining, lodging, entertainment, health care…Panama’s retiree discounts cover every area imaginable. Get 20% off medical consults, 25% off your monthly power bill, 25% off restaurant meals, and 50% off movie tickets. If you spend a lot on these things (and most of us do), it’s not hard to imagine how these savings could add up. So what will you occupy your mind with when you no longer have to worry about being able to afford health care and other needs and wants? Do as we do: throw yourself into Panama’s rich social and cultural life. You’ll find that here it’s easy to gravitate toward other, more enjoyable pursuits. Those of us who live here full-time are involved in every kind of activity imaginable. Charitable organizations, national or religious societies, game and sports clubs…you name it, you can find it here. I divide my time between my Boozy Book Club, my Professional Women’s Group, and a new interest: watching futbol (formerly known to me as soccer) with a few die-hard fans. Sure, if you want to be retired and bored, you can do that here…or anywhere, really. But I’m warning you, Panama is full of temptations. And most of us who live here ended up giving in without a fight.